This past weekend, the robotics team held their annual launch party. For the first time in team history, students went to High Tec LA, to learn about the build season’s theme, goals, rules, and how the round was divided. They were able to discuss with students from different schools about what the team’s goals were for the robot, what they wanted the robot to do, and what was the primary objective for each part of the round. 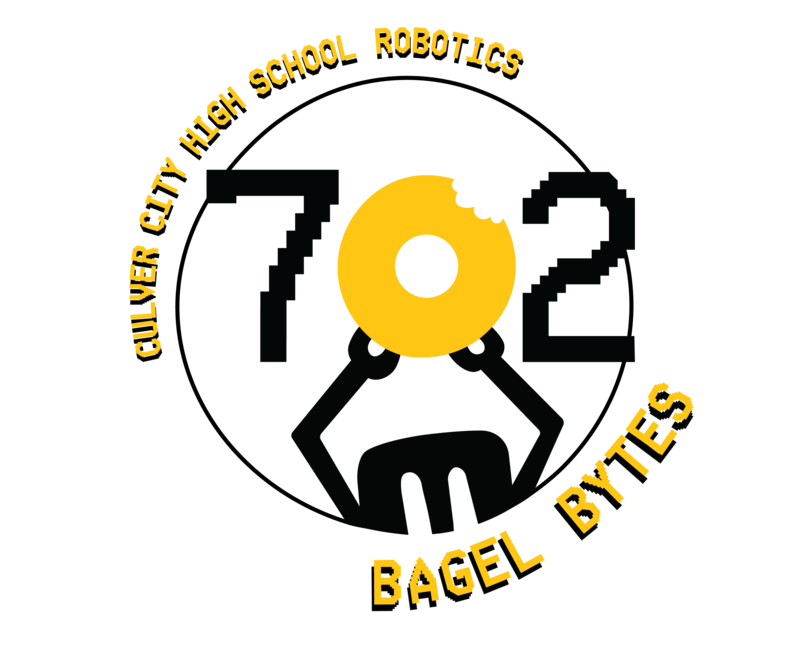 Once they returned to the CCHS campus, the team members involved shared the generalization of the task, and discussed the team’s personal goals for the robot. The robotics build season requires a lot of the students. Team members are expected to be focused on the build until the season is over, giving it priority over other non-academic matters. The build season also requires a great deal of time, since the team is expected to stay working until about 9. Therefore, the team ask for the help of parents to provide dinner for the team during the season however, it seems that there are enough members, that some families might be able to work together. As all subteams are involved in the creation of the robot, it is important that every member of the team does their part. So, it is the responsibility of the team leaders to make every member be useful and up to date. Subteam leaders communicate with their team through the Slack app, which is very useful when communicating with large groups and every student in robotics is required to be part of the app. This year’s competition is a spaced theme game. Alliances of three teams compete to place hatches and load cargo onto the bays of cargo ships and rocket. The total length of the match is 2 minutes and 30 seconds. Each match starts with a “sandstorm” which is a period of 15 seconds in which the driver’s visibility is limited and robots must either operate on autonomous mechanisms, or drivers may be able to see through cameras, if the robot has any. After the “sandstorm” has cleared drivers will take control of the robots and will work to earn points for their alliances. An alliance can score points by placing cargo or placing hatches on either the cargo ship or rocket ship to prevent cargo from spilling out. In addition points can be gained by going up various platform levels at the end game.In order for an alliance to advance, thy must win rank points, which is awarded to those who win matches and completely stock their rocket ships with cargo. The team is working to build a robot that will be able to complete these tasks, as well as hoping to allow us to succeed at our regionals. 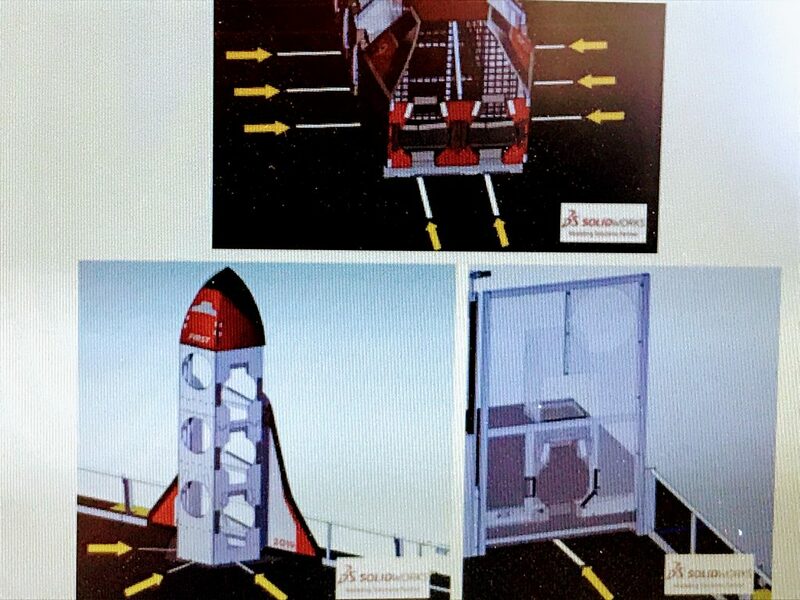 The team worked on various ideas for the hatch, cargo (ball) and climb options. They began by using simple designs and methods (see photos below) to determine proof of concept. When things looked promising, they then started working on some simple prototype systems to further explore their ideas. By the end of the week, the team began discussing the pros and cons of each idea, and plan to decide the robot design to build during week 2.